As if heading the Expediency Council, a powerful body designed to set the country's framework policies, was not enough, Rafsanjani decided last month to announce his candidacy for the sixth post-revolutionary Islamic parliament, a post he held in the first, second and third terms. All eyes are now set on the parliamentary election due to be held on February 20 considered to be the most significant turning point for Iran defining her place in the world and setting her agenda for many decades to come. Meanwhile, Rafsanjani has quickly found that, by Western standards, a mildly questioning public opinion is making Iran's political scene a non-friendly place to be even for crafty political survivors like himself. This time around Rafsanjani's prospects for a sweeping victory is not a foregone conclusion as the hitherto silenced questions of his pro-reform critics are coming back to haunt him; questions ranging from his role in the mysterious string murders of over 80 dissidents and intellectuals during his two terms of presidency (1988-1996) to the shortcomings of his economic liberalization policies in that same period. Among the reformist camp, forged by a coalition of Rafsanjani's critics who refuse to put his name in their list of supported candidates, Akbar Ganji, an intellectual and journalist, has become a celebrity in Iran's press circles. Ganji's investigative reports draws from information leaks and a painstaking study of public documents pertaining to the profile of the notorious Intelligence Ministry in Rafsanjani's administration. At 37 Ganji has earned the respect of a flourishing press community who have generously provided him with their editorial columns to launch scathing revelations about how Rafsanjani's Intelliegence Minister, Ali Fallahian, struck the regime's opponents inside the county and abroad. In 1996, a German court issued an international arrest warrant for Ali Fallahian for his part in the Mykonos case where three of Iran's exiled, Kurdish leaders were gunned down allegedly upon orders of top Iranian leaders setting Iran-German relations back a few years. Whereas at that time, condemnation of the German court's ruling poured out of Iran, today, domestic controversy surrounding the role of Ali Fallahian, labeled by Ganji as "His Grey Highness", has made it as difficult for the feared ex-minister to make an appearance within Iran as to do so without. Reformists' sense of gratitude towards Ganji for his disclosures, described as smear campaign by Iran's conservative hard-liners, translated into polite disassociation as he turned up the heat by coming out with an unprecedented article, "His Red-Robed Highness". "This label is borrowed from French literature", writes Ganji in defense of his choice of words. "It describes Cardinal Richelieu, appointee of Louis XIV who allowed Father Joseph, His Grey Highness (likened to Fallahian) to carry out his reign of terror in France". "His Red-Robed Highness", in Ganji's article, was a provocative reference to Rafsanjani suggesting that he contributed if not turned a blind eye to rampant moral and financial corruption in his Intelligence Ministry or as Ganji calls it, "The Darkroom of Ghosts". Yet it was not the first time these charges were being laid at the door of Rafsanjani in an Iran emboldened by increasing press freedom and tolerance since the election of Rafsanjani's successor President Mohammad Khatami in May '96 on a platform of "Political Development" and "Rule of Law". Ganji was only distinguished among the rest of his rank for making his case more delicately and convincingly than others. However, when Ganji decided in that article to question Rafsanjani, about one of the most sensitive issues in Iranian political discourse, not even his colleagues wanted or dared to support him. It has always been possible, more theoretically than practically, to crticize with caution policies of the post-Khomeini era without necessarily putting under question one's loyalty to the system. Tolerance of crticism could be demanded as long as it fell short of casting doubt on Ayatollah Khomeini's decisions among which the 1989 death sentence issued against British author, Salman Rushdie, still lingers in the minds of western leaders who deal with Iran. After all, as "Architect of the Revolution", Khomeini's legacy continues to be a powerful force in Iranian political discourse. Reservations about the wisdom of pressing on with the war after Iraqi forces were driven out of the western city of Khormashahr and made to accept a cease-fire on terms favourable to Iran was, until last week, expressed only in private or fringe academic circles. What provided Ganji with the ammunition to attack Rafsanjani was the latter's inadvertent admission in a news conference he held following announcement of his candidacy that in fact Khomeini opposed continuing the war after Iraq's expulsion from Khoramshahr but only changed his mind upon the insistence of his advisors. So Ganji blamed Rafsanjani for giving wrong advice to Khomeini. Rafsanjani decided he had heard enough. "How can it be appropriate for some newspapers to ask who should be accountable for all those martyred in the war, the most glorious battle of our history... 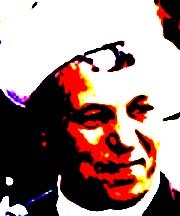 Such unfair treachery kills the nation's self-esteem and is more dangerous than AIDS", raged Rafsanjani whose condescending refusal to answer let alone debate his critics had strangely earned him the reputation of being the force for balance and moderation. The politics of election campaigns partially explains why Rafsanjani chose to unleash his verbal attack on reformists in public during the traditional Friday Prayer ceremony, a platform reserved for hard-line speakers. Rafsanjani has a hard battle on his hands for winning the votes of Tehran in this young hotbed of Iran's reform movement where not even one seat in the 15-member City Council belongs to a conservative. Time is running short for Rafsanjani. He appears to have failed so far in making a connection with the youth that have little recollection of his prominence in the early stages of the I979 Islamic Revolution. The genie is not out of the bottle completely, yet, but few doubt that the wave of reform is irreversible. However the effort to control the speed and size of reform to manageable proportions is one of President Khatami's headaches and that of his hard-core supporters. An Iranian journalist likened press freedoms in Iran to a land mine where you should know which places to tread and which not to as one mistake can render the non-experienced journalist, literally, a physical victim of reform. Just ask Abdullah Nuri, President Khatami's impeached, former Interior Minister who launched a pro-reform newspaper but was convicted to five years imprisonment on charges of insulting Islamic sanctities before his daily, Khordad, stood to celebrate its first anniversary. As for Rafsanjani and his unfulfilled quest for power, and more of it, running for parliament can make him or break him. Historically more important however, is that Rafsanjani's bid to enter the scene in a changed political and cultural landscape has made him the focus of Iran's forward-looking journey to the past; one which symbolises a nation that is seriously engaged in some dangerous yet deep and meaningful soul searching.